Every year, we meet new orphans in our city, every year we invite them to summer camp, and every year their lives are changed. We met Sasha at one of the social dorms. He was an orphan who had lived in a “House of Family Type” – a little like Ukrainian foster care. But after he moved out, he lost touch with that family and began drinking. He spent all his time on computer games. When we invited him to camp in 2017, we let him know we didn’t allow smoking or drinking. But that wasn’t a problem! He was like a different person, helping often with the cooking. 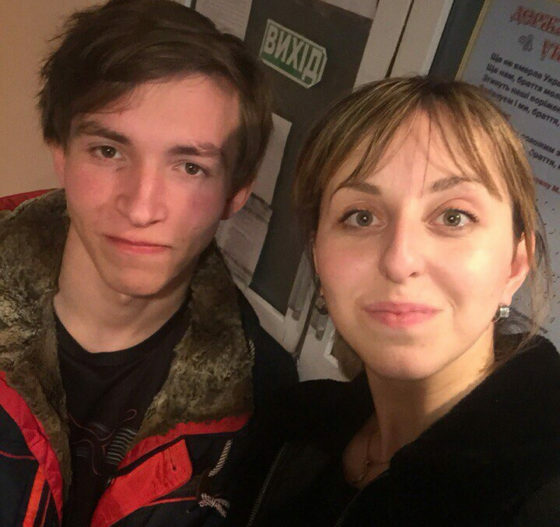 While he peeled potatoes with the staff, Sasha shared that he “didn’t actually like having a purposeless life.” Lena Voznyuk asked him about his interests. He talked about computers, but he didn’t know how to do anything with them except play video games. 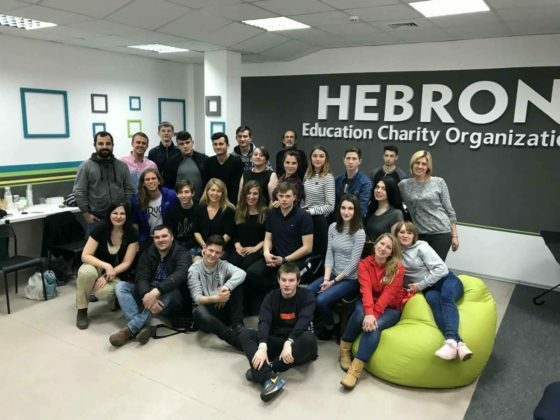 We told him about a Christian college in Lviv, called Hebron, that offered an opportunity for orphans to study in the IT field. That same night we called the Hebron office. After camp, Sasha left for Hebron, where he became a Christian. He was baptized just last month, on April 8th, 2018! 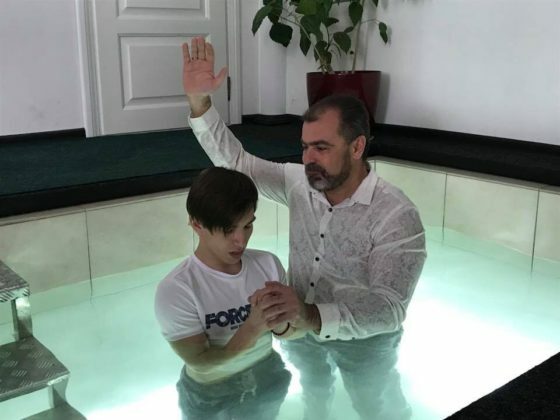 When Sasha returned to Zhytomyr, he accompanied Last Bell staff to the social dorms, where he had once lived, to shared about the change God had made in his life and invite other young people to study in the IT field. We pray for all our youth to find their calling, to find a field where they can succeed. Most importantly, we want them to know God and let Him change their hearts! Sending one young person to camp in 2018 only costs $115. PS – you can see Sasha’s photo on the Hebron website, here. 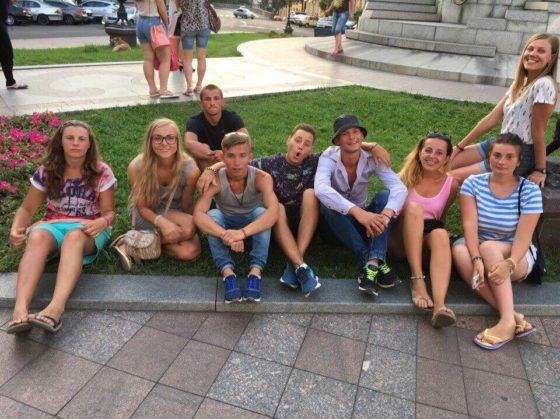 Look for Oleksandr from Zhytomyr (Sasha is his nickname).